Feelfree Kayaks is taking kayak fishing to a new level in stability, comfort and versatility with the Lure serie 10, 11.5 and 13.5. The kayak comes standard with a variety of unique features including a removable multi-level extra wide Gravity Seat, Feelfree’s wheel in the keel and Uni-Track system. One of the most unique features in Lure series fishing kayaks is our Patent Pending Gravity Seat. It provides a great comfort due to it's adjustable height and is also completely removable, so you can use it standalone. You can adjust it's height using a simple pull tab. It's quick and works great for fishing. Feelfree Kayaks is taking kayak fishing to a new level in stability, comfort and versatility with theLure. The Lure 10 is the smaller, more compact brother of the Lure 11.5 and is excellent for shorter trips on rivers and lakes without compromising on features. Feelfree Kayaks is taking kayak fishing to a new level in stability, comfort and versatility with the new 2016 Lure. The kayak comes standard with a variety of unique features including a removable multi-level extra wide Gravity Seat, Feelfree’s wheel in the keel and Uni-Track system. All of Feelfree kayaks are equipped with a wheel, which greatly improves mobility of the kayak.It doesen't matter if you need to carry it for just a couple of meters or a couple of hundreds. It's a great feature which gives you the edge when you need to quickly transfer onland from point A to B. Don't let obstacles stop you. Our kayak side and front handles are molded into kayak itself, so we limited the use of bungee cords to minimum. That solution gives you great comfort and it's less liable to breaking. Handles are designed not to interfer with kayak's shape, so you don't have to worry about them when on your trip. That design is actually so good, that a lot of manufacturers are currently using it in their kayaks. When you're on a relaxing fishing trip, standard rubber hatch is fine. However, sometimes things can get crazy faster than you think. When this happens, you may need quick hull access and our hinge hatch is exactly that. It features a lot of space, opens up in a flash and can store anything you want. It's waterproof and additionaly sealed to keep your belonging dry. When combined with the Uni-Bar, it creates a perfect platform for all of your fishing needs. You can use it to mount a fish finder, a GoPro camera, place a cellphone holder or store your fishing rod in place. You got tired of paddling at the middle of the lake and want to take a break? Or maybe you found a "honey hole" and want to get your fishing started? With our Paddle Keeper System, you don't have to worry about where to place your paddles, when taking a break or having fun fishing. Your paddles are securely stored, all the time. Wereldwijd verkocht in meer dan 40 landen en bewezen de perfecte viskajak voor de Nederlandse wateren. 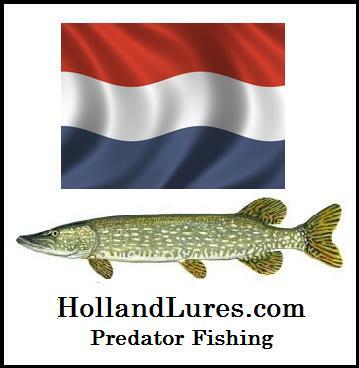 Feelfree voert vier productlijnen viskajaks DORADO, LURE, MOKEN en DAGON. Dorado, top model met alle mogelijke opties verkrijgbaar, zelfs met motor. LURE, voorzien van de Gravity Seat hoogte verstelbare stoel en uitermate geschikt voor de actieve roofvisser en de 11.5 en 13 uitvoering zijn voorbereid op het Feelfree Overdrive trapsysteem.